SINO INTERNATIONAL BUSINESS CO.,LTD. 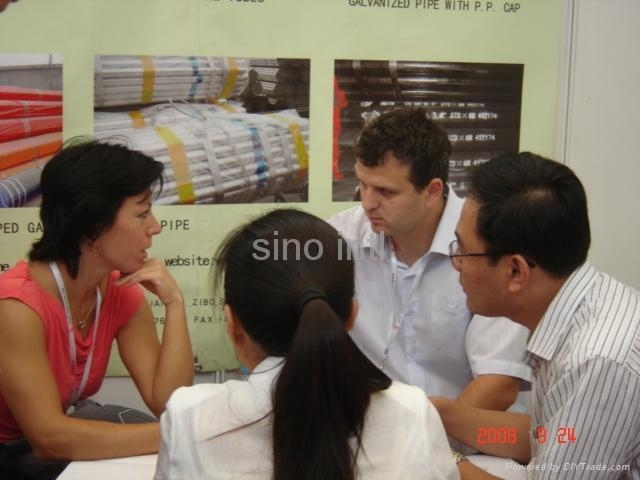 AND OR ON BEHALF OF THE COOPERATION PARTNER HAVE ATTENDED THE TUBECHINA 2008 IN SHANGHAI,CHINA FROM SEPT.23--26,2008 BOOTH NO.:W4-B69. AND OUR SERVICE AND PRODUCTS ARE WARMLY WELCOMED BY THE CUSTOMERS AND THE MANUFACTURER AND RECEIVED THE GOOD ACHIEVEMENT UNDER THE BAD SITUATION OF THE WORLD ECONONY.